Patient Centricity & Pharma’s Reputation Patient Centricity used to be a buzzword in that it was often mentioned but seldom practiced by pharma companies. A lot of progress has been made in the past years to achieve patient centricity, but not all drug companies have had much success. Unfortunately, that has had a negative impact on the industry’s reputation. [From pharmamkting.blogspot.com] Depending on who you ask, the drug industry’s reputation is at an all-time low (read, for example, “Pharma’s Rep Among Patient Groups Sinks to Near Historical Lows“) or an all-time high! For example, if you determine the reputation of a pharma company measured by “the general public who are somewhat or very familiar with the company,” then that company’s reputation is likely to score much higher than if you asked the general public whose “familiarity” with the company is not a factor. Such is the case with the latest Reputation Institute ranking, which was said to be based on the opinions of the “general public.” Later in the fine print of the PR, you learn what they measured are the attitudes of only a segment of the general public – those who are “familiar” with the companies. 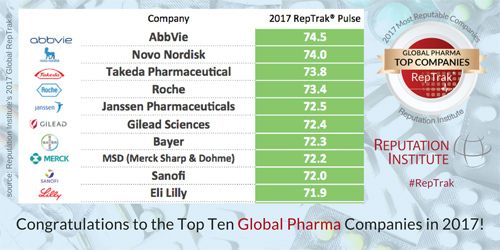 Can You Trust Patient Rankings of #Pharma Corporate Reputation? Patient-centricity is a prominent buzzword but there is little consensus on the real meaning or the true purpose behind the engagement. Click here to download your copy of the magazine today.. 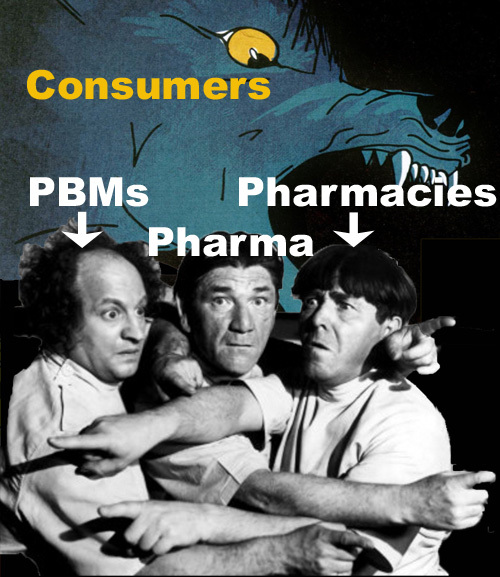 The “Three Stooges of Drug Price Lobbying! [From www.nytimes.com] A civil war has broken out among the most powerful players in the pharmaceutical industry – including brand-name and generic drug makers, and even your local pharmacists – with each blaming others for the rising price of medicine. Members of Congress have put forward a grab-bag of options, each of which would help or hurt different industry players (read “A Look at Major Drug-Pricing Proposals: The Good, The Bad, and The Defeated“). Some address minor aspects, such as a bipartisan bill that would force brand-name drugmakers to hand over samples of their drugs to generic competitors. One would allow for the importing of cheaper drugs. Another would force pharmacy benefit managers to disclose more information about how they did business. For now, it is a free-for-all.